You’ve probably seen a study, paid for a consultant or will see at least a dozen articles this month that talk about your company culture. You likely acknowledge that it impacts your long-term financial performance in some way. But synthesizing insights into culture against things you likely care the most about today — performance, profitability, production, asset protection or predictability — is something many people write about but few can actually do. Consultants talk culture and write culture. Few can translate cultural insights into tangible gains in performance, profitability, production, asset protection or predictability. 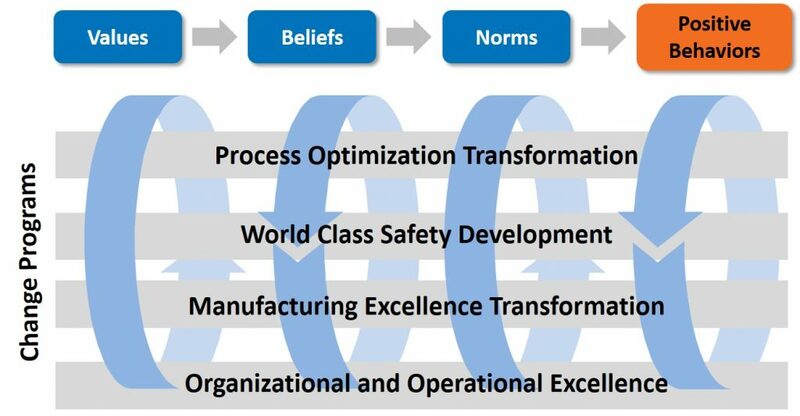 Our model has proven that addressing performance issues by accounting for how organizational culture intersects with individual intention, individual behaviors and operational systems will result in things like more profit, fewer accidents or improved productivity. In an organizational culture of high performance, strong values create a road map for acceptable behaviors — which in turn parlays into operational impact. Barriers to Performance Cultures: Have You Built Any of These? Any large-scale change will challenge the established culture of an organization. Transformational leaders must be proactive in addressing the impact projected change that your plan will have on organizational values, beliefs and norms. Although culture change is not a linear process with clear beginning and end points, it can be illustrated at a high level as a process. 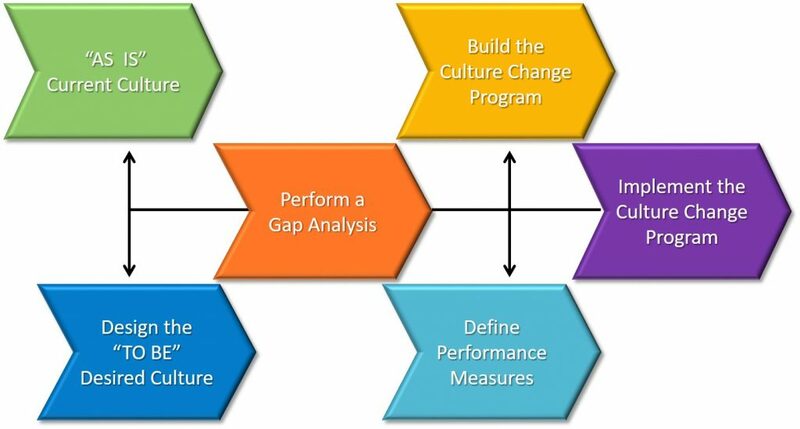 Before embarking on a unique culture change journey in your organization, it’s important to build a framework (see Figure 2 below for an excellent example). Sustainable culture change won’t result from simply creating a new training program. Culture change requires a significant investment of time and resources across the whole of the organization. As you review your strategic vision, consider how the culture must change to support current and future initiatives. Organizations generally change when under stress, when there’s a desire to refocus the business, or when there’s a plateau in growth. In responding to these drivers, bear in mind culture must be restructured to respond to the changes, how that will affect future initiatives, and how to promote the cultural shift. Secure commitment by developing a detailed business case in support of change. Identify and promote not only the benefits of change, but the projected costs of remaining static. Accomplish this is by conducting a culture change/organizational excellence survey at the start of the process. How do you and your fellow leaders see or approach cultural issues in the context of performance? We love learning. Leave a comment or reach out for a conversation and an in-depth exchange of new ideas.